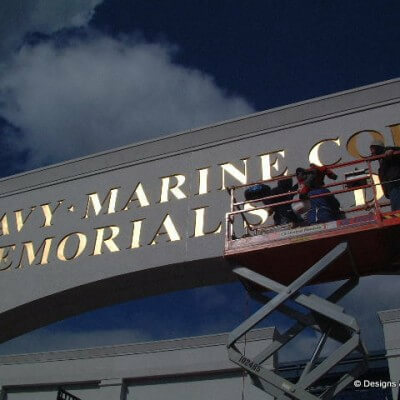 Architectural Gilding at The Navy-Marine Corps Memorial Stadium in Annapolis, Maryland. 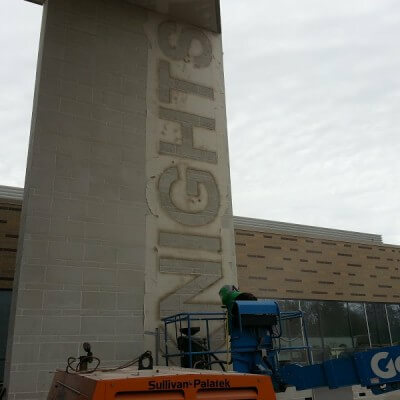 Designs & Signs applied traditional gold leaf to carved monument letters. 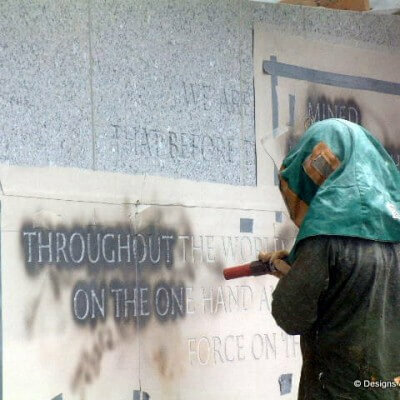 These photos show both phases of a typical surface gilding project. 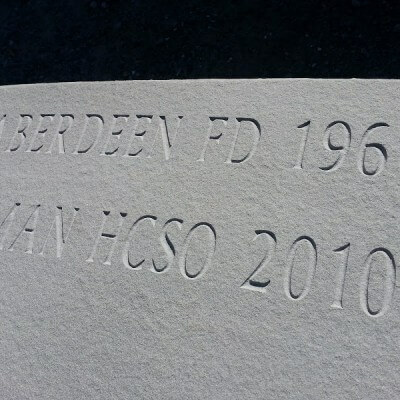 First size is applied to the surface that is to be gilded. When the size begins to set the gold leaf is applied by hand. The gold leaf must be applied at the correct time. If the size is too wet the gold leaf will sink and crack. If the size is too dry the gold leaf will not stick completely. In these photos you can see the difference between a finished gold leaf letter and a letter that has size but has not yet been gilded. 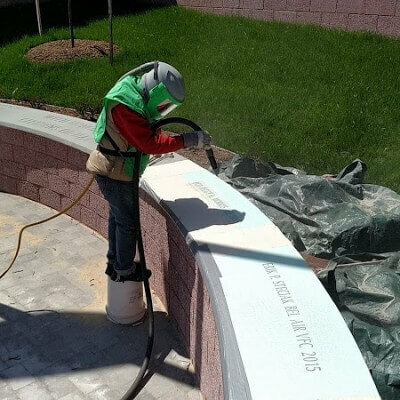 Monument Carving & Architectural Gidling – We do it all!